The Fluidwell F-Series product range offers you an extensive selection of field mount indicators, controllers and monitoring systems for flow, level, pressure and temperature measurement in safe and hazardous area applications. The F012 is our most popular model. This local indicator displays the actual flow rate, total and accumulated total. If your organisation requires five or more F Series units, please contact our team of experts for a quotation. The F012 from Fluidwell is our most popular model. 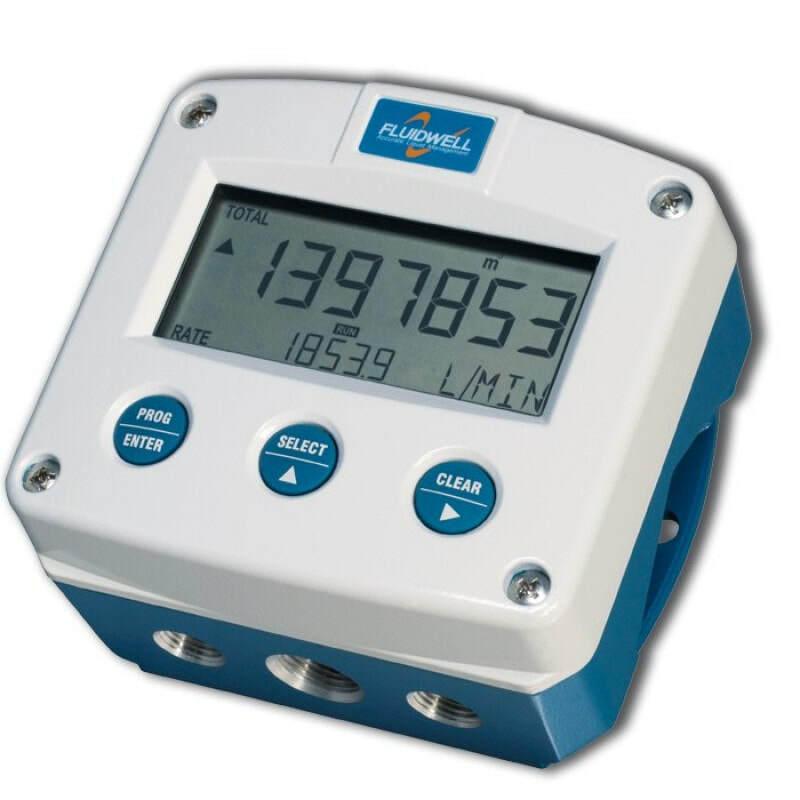 This local indicator displays the actual flow rate, total and accumulated total. 115 – 230V AC power supply.